South Africa stops issuing general work visas? Ahead of the implementation of new immigration laws and the release of a severely shortened critical skills list, South Africa's Home Affairs Department appears to be pre-emptively clamping down on immigration and undermining efforts to encourage foreign direct investment (FDI). This is according to immigration expert, Stefanie de Saude-Darbandi, who noted that a new Bill on International Migration is expected to be available for comment in March 2019, and a new critical skills list intended to be implemented in April 2019. De Saude-Darbandi said that would-be immigrants to South Africa and foreigners living in the country are already getting a worrying preview of what these new rules may mean. "Department of Home Affairs (DHA) officials, who are notorious for their own interpretations of immigration law, now appear to be pre-emptively clamping down on immigration across the board," she said. "The increase in unlawful rejections of visa applications could be a sign that the DH is moving to apply restrictive new policies, effectively blocking a great deal of foreign direct investment and skills flows to the country." Darbandi said that stakeholders across immigration and business are voicing increasing concern about the potential impact the draft Bill and critical skills list may have on efforts to grow the economy, and efforts are currently underway to form a multi-sectoral task team under the auspices of Business Leadership SA, to take the matter up with the President's office. "One of the stakeholders uniting to motivate for immigration reform, Dan Brotman, notes that immigration has a measurable positive impact on GDP growth in other countries, but that South Africa appears to be actively restricting immigration and the granting of citizenship," she said. "The new critical skills list, he points out, was not compiled by business and industry, but rather by the DHA and Departments of Labour, and Higher Education & Training. "Without industry input, the critical skills list cannot deliver on the skills South Africa needs now to grow our economy and compete on a global scale." According to de Saude-Darbandi, the draft of the new critical skills list is significantly shorter than previous lists and omits numerous key skills. Among others, the designation ‘corporate general manager' appears to have been dropped from the list, and no provision is made for equivalent skills. "This implies that high-level CEOs, business managers and consultants will no longer be able to apply for scarce skills visas, which raises questions about whether foreign business investors and multinationals will be able to support their local investments with the right level of staff," she said. "The draft list now allows for foreign language skills only if they are to be used in call centres. This excludes the high-level foreign language skills needed by organisations engaged in pan-African and international trade, consulting and support. "For enterprises desperately short of next generation technology skills to drive innovation, it should come as some concern to find that Artificial Intelligence and machine learning experts, IoT and data science skills are not included on the new critical skills list." De Saude-Darbandi noted that the country's existing immigration laws - and their interpretation by DHA officials - already stand in the way of delivering on the president's goals of fast-tracking economic growth, generating employment and encouraging FDI. "For example, in order to obtain a business visa, applicants require a minimum R5 million investment originating from outside South Africa," she said. "This is ten times the amount required in other countries such as Singapore, and blocks start-ups and entrepreneurs who have raised local funding. "Another example is the provision in the existing Act for a retirement visa to be issued to anyone with assets realizing of over R37,000 per month (regardless of age): in practice, officials are loath to issue these, claiming that they have no guarantee that the applicant will not start working in the country or that the application should be a certain age in order to receive this visa. "This hampers much-needed foreign spend in coastal and tourist resorts frequented by many foreign pensioners for months every summer," she said. 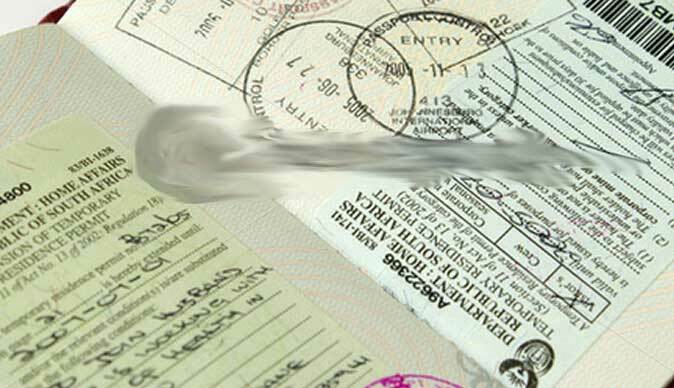 De Saude-Darbandi said that general work visas are also no longer issued, with the result that thousands of foreigners already in South Africa are unable to renew their visas as employers are encouraged to employ South Africans instead. "This however has resulted in illegality, unnecessary and costly appeals, and heartache for many foreign families resident in South Africa and the unemployment rate has increased significantly," she said. "The bar on issuing these visas accordingly did nothing more than contribute to and increase the number of unemployed persons in South Africa, living here legally or not." The legal expert said that South Africa must reverse this trend of locking down our borders and excluding the free flows of investment and skills. "Enterprises and industry players need to carefully consider the implications of the new Bill and Critical Skills List, and submit their comments," she said. "The president himself should intervene to ensure that the DHA supports his objectives for economic growth and foreign trade and investment. "And DHA officials need to act with due respect for law, for their constitutional obligations, for immigration jurisprudence, for the rights of people and in the best interests of the country."